The LED fittings provide an even light output as opposed to fluorescent that dim with age. Potter Electrical’s extensive background in industrial and commercial lighting proved itself invaluable recently when they worked on the refurbishment of the Farmers store in Whangarei. The project saw the team working throughout the day when the store was opening, moving through the building in section to minimise any impact the works would have on customers. Inside the building, all retail merchandise such as clothes and beauty products were completely covered to ensure dust did not make its way into the stock. Cleaning as they went, the team ensured that the Farmers usual store hours were maintained with no mess. In addition to other works in the building, the entire lighting system of the store required an upgrade, a huge undertaking championed by Potter Electrical. Craig Potter, owner and operator of Potter Electrical explains that sustainability and reduced energy costs were the goal of the upgrade. The project began in March 2017 and was completed in November. 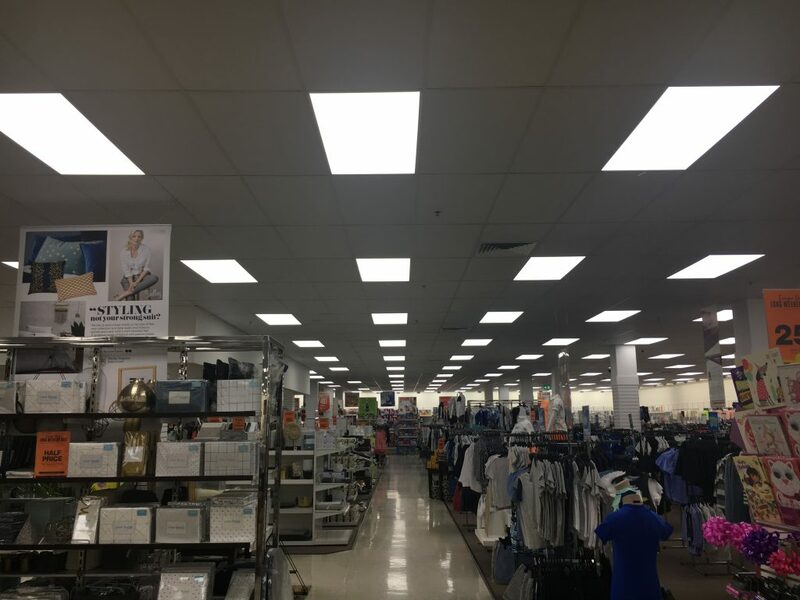 Potter Electrical regularly completes commercial lighting maintenance and upgrades throughout Northland, specialising in reducing power costs for clients by installing the most reliable, energy-efficient option. The company’s core markets are commercial, residential and industrial lighting and electrical services. Areas of expertise include energy-efficient lighting, pre-purchase electrical inspections and automation. Potter Electrical are trusted by some of the biggest names in New Zealand to maintain their lighting, such as The Warehouse. The company employs around 11 electricians and is always looking to improve the energy costs and lighting conditions of the residents and businesses of Northland.